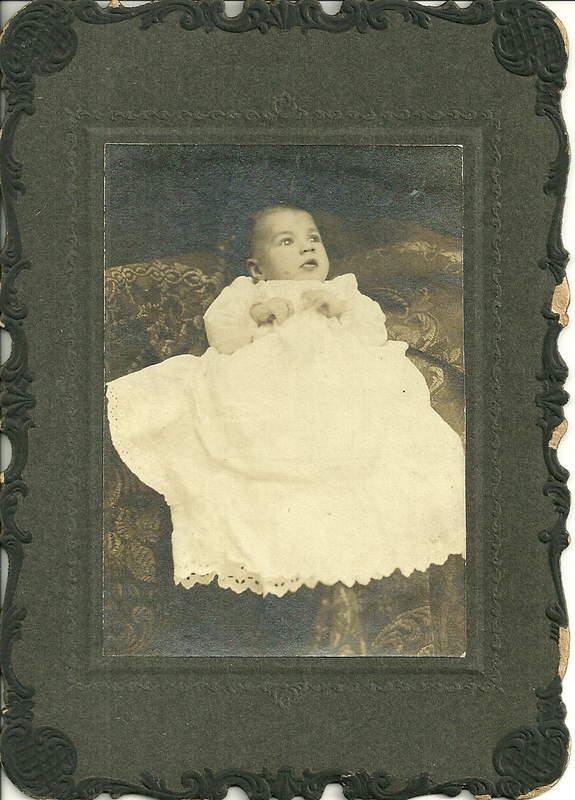 c. 1911 photograph of a baby identified on reverse as Arling Kressler. 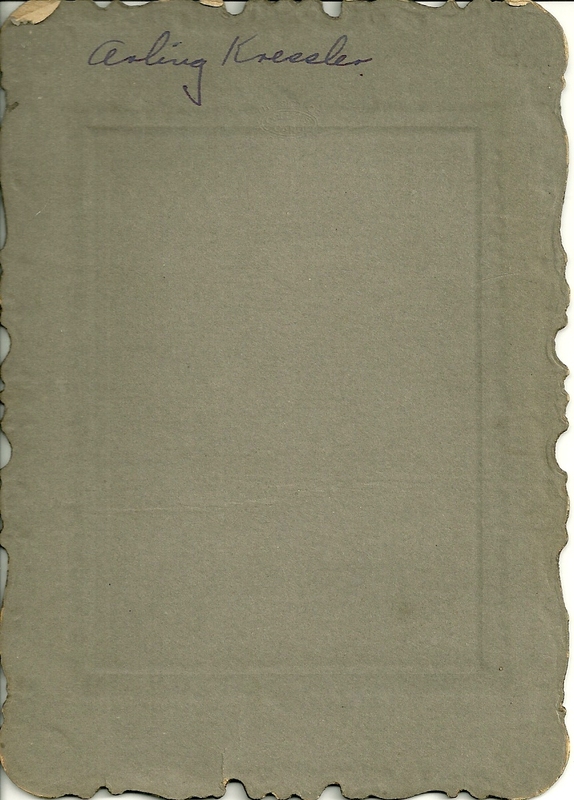 No photography studio imprint. This is likely Arling Orwyn Kressler, who was born about 1911 in Pennsylvania, possibly in Allentown, the son of Oliver J. Kressler and his first wife Arminta J. (Dutt) Kressler. His paternal grandparents were William Henry Kressler and wife Elnora (Fisher) Kressler. His maternal grandparents were Albert and Joanna A. (Smith) Dutt. 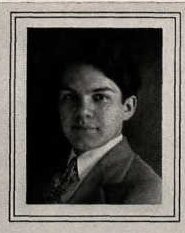 I found a photograph of Arling in the 1928 yearbook of Allentown High School, Allentown, Pennsylvania. 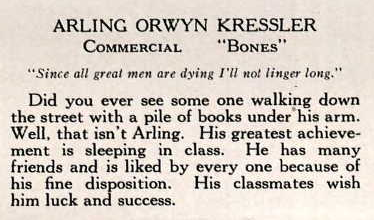 Arling may not have carried many books in high school, but he must have done well in his career as I found him in a 1951 listing of Civil Service employees, showing him to be a Deputy in the Analysis Branch in Tennessee. Sadly, he died in 1952 at a young age, just as his mother had before him. I don't know if Arling married or had children. A tree at rootsweb had his family, but no wife for either him or his 1/2 brother Oliver. Oliver is not listed with any "possible relatives" at veromi.net or intelius.com. Many dead are still in these listings. 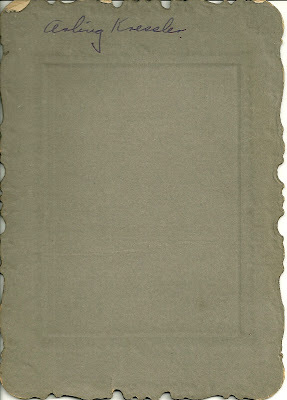 So you might have an orphaned picture there. Too bad, I like the idea that he was a student in 1942, after that writeup in the yearbook. Sounds like a great idea for a book: high school yearbook writeups compared with the actual lives lived. "Nerds have the Last Laugh"? ?